“We need to ensure that the right speed limits are in operation on the right roads” said transport minister Leo Varadkar at the start of the year when he announced that speed limits will be reviewed. 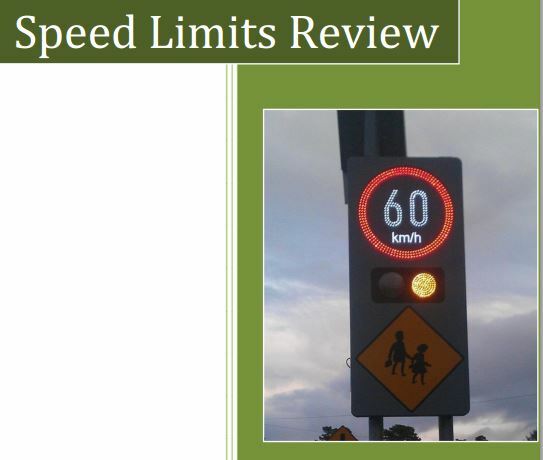 Yesterday the Speed Limits Review report was published. But the report just isn’t credible. Unlike some recent policy documents which admirably admitted pass mistakes, this report sets out by dressing them up. What does it matter if a change was “delivered smoothly” when it resulted in massive flaws such as 80km/h marked on on grassy roads? A flaw that the report says has undermined speed limits. Do you know what the 80km/h sign means? It means must use their own judgement but must never exceed 80km/h in any case…. wait, we going to speed millions on replacing one sign with another which means the same thing? It seems so. We’re told that this will be somewhat cost neutral or taken out of budgets already assigned to replace signs which are due for replacement. But just like so much in this report, this is not credible. The bulk of local rural road 80km/h signs should not need replacing after less than 10 years. This sounds great, but anybody who has looked even a modest city or county council speed limit review in any detail (we have) will tell you reviewing all limits every five years would be a massive task. This is another report from another department asking councils to do more with their limited resources. Country people often complain of people in Dublin dictating everything without knowing much about the country. There’s sometimes some truth to this. For one local roads in the report are treated as just grassy ones — the reality is local roads range from grassy single lanes to wide two-lane roads. We’re still talking about a max of 80km/h on all of these — hardly credible on roads people walk and cycle on without footpaths or cycleways. A strong and repeated complaint we hear outside of Dublin is that local, regional or secondary roads of greater quality to some national routes are marked as 80km/h when nearby substandard national roads are marked as 100km/h. Part of the report seems to make out that this is because the national routes should be of lower speeds while waiting for upgrading, but then it says it would not be worth doing this. The report claims that “Many of the anomalies are caused by differences in interpretation of the Guidelines for the Application of Special Speed Limits by individual local authorities” but the reality on the ground more so points to the guidelines being too sweeping, using broad standards based mainly on road type, and unwilling to account for local conditions (including better roads where higher speeds are possible). This report talks about having a “consistent system” but there’s no plans to fix many anomalies people experience on a daily bases. Just as the old reasoning for grassy 80km/h limits was not accepted, the reasoning for unresolved anomalies won’t sit well with most people. In towns and cities the report takes little account of the move across the UK and Europe to lower speeds in urban areas where most people live, walk, and cycle — the report however recommends that 40km/h and 30km/h remain “reserved” limits when they are the norm in many cities and towns across Europe and increasingly so in the UK. Local councils across the country have been busy erecting electronic signs in urban areas to let motorists know they are speeding. Our commute includes one of these and the typical speed is somewhere between 55km/h to 60km/h. Some drivers frequently hit up to 70km/h heading towards a zebra crossing. The RSA say 82% of drivers break the urban 50km/h limit in uncongested areas but there’s little to no enforcement where it matters most to most people out of cars. Motorists on the other hand complain that enforcement mostly happens on motorways and other wide stretches of roads. Shooting fish in a barrel. The report’s suggest of using average speed cameras on motorways alone will only re-enforce the idea that motorists are being needless targeted. If minister Varadkar wants a more credible speed limit system he should push for enforcement in the areas that matter such as outside schools and main roads in residential areas, and he should continue his call for another investigation into the penalty points controversy. If he really thinks spending millions of euro mostly on signs is a good idea at the very least he should reduce the local road default max to a lower speed than 80km/h, and focus on reviewing inconsistencies mostly in and around urban areas — we’re told he’s aware of 80km/h limits in housing estates in his own area. How could it be credible’it was done by dummy’s. Frank Cullinane: The report says: “A sign means that drivers must use their own judgement but must never exceed 80 km/h in any case.”. This is change or is it? Terms of Reference: The purpose of the Working Group will be to:- 1. REVIEW EXISTING OVERALL SPEED LIMIT SYSTEM AND MAKE RECOMMENDATIONS! @Frank You ask if it is change? It’s just replacing one sign with another which means the same thing and keep the limit the same.